I was recently sent a Nawgum teether to review for my blog. I'm on my 4th baby, so I've used a lot of different teething rings and toys over the years. Right off the bat I could tell Nawgum was different than the other teethers I've used. It is one seamless, nonporous piece of silicone that is uniquely shaped to fit baby's needs. Its cactus-like shape contains two arms and two "bumpers". Babies love to gnaw on their fingers, so the arms are molded to replicate a baby's finger. They are soft and rubbery on the surface with a hardened middle to simulate a bone. When I first read this I thought it was insanely clever. The arms and bumpers also have different textures to help sooth my baby's gums. I've noticed that in the heat of his teething Calvin likes the arm with the bumpy texture. When he's just gnawing to gnaw he seems to prefer the smooth bumper. He's only 9 months old now, but the Nawgum is designed to help him teeth until 24 months. The unique finger-like arms will sooth his gums when those nasty molars start coming in. Nawgum is BPA-free and made with food-grade silicone, so it is dishwasher safe. My only complaint is that like his silicone binky it is a dirt magnet. Luckily it can be easily rinsed or tossed in the dishwasher. 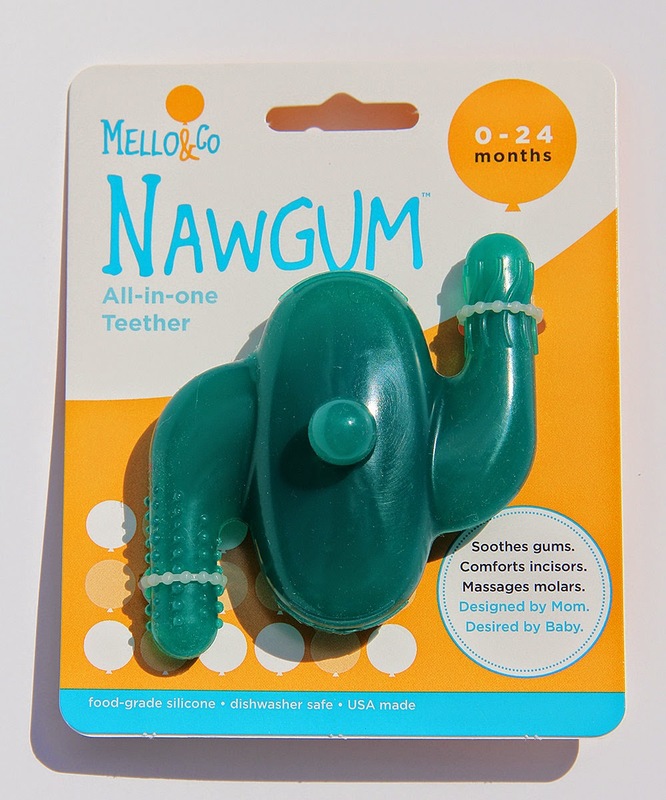 The thing I love the most about Nawgum is that it was invented by a mom who was just fed up with teething. Sue Kellogg-NawGum's inventor-consulted with a group of dentists, an orthodontist, and a pediatrician to come up with the perfect design for babies 0 to 24 months. Go Mama! Calvin loves his Nawgum-which we have affectionately nicknamed his "Gummy". I would absolutely recommend this to anyone with a fussy, teething baby. 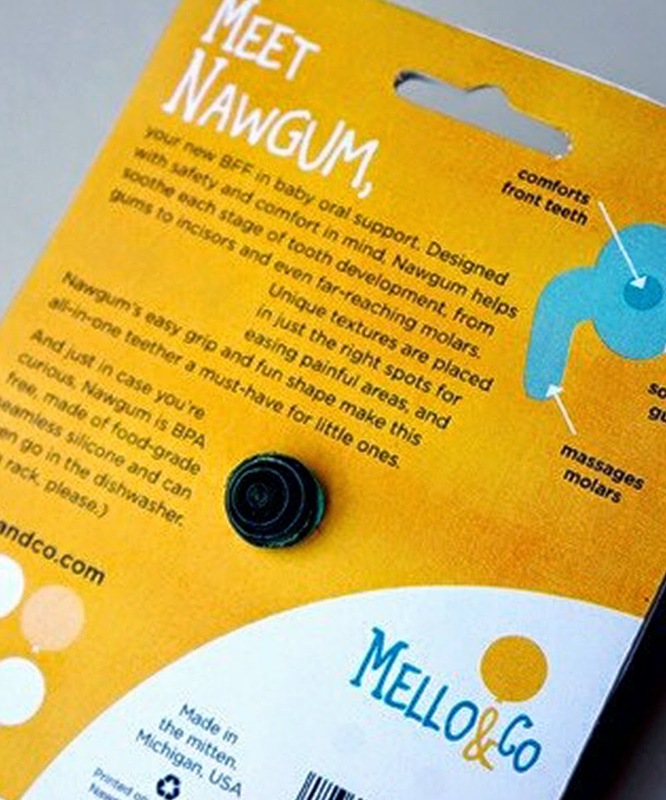 You can purchase your own directly from Mello&Co's website, or check the store locator to find one near you. Good luck with those drooling, adorable babies! Don't discount a bag simply because it doesn't have the card included. Not all cartier replica uk are traded in the resale market with the card, as owners may have missing them. However, this in no way devalues a bag. The same costs sleeper bags. Whilst it is nice to have them, you are really purchasing the bag. Often times you can get a lower rate on these rolex replica sale. Just make sure the other features signify a traditional bag. Quality sites allow you to contact the proprietor easily. Don't be afraid to ask questions or get more information on the burberry replica sale you want. Shop owners are very receptive to this as they too want you to find the perfect replica watches sale that meets your own taste. Fortunately, today you can get great deals on the internet. Whether it is last season's styles for a few hundred less or a pre-owned chanel replica sale in pristine condition, for sometimes a few thousand off, online shopping saves time and money. Any Rolex Deepsea Sea-Dweller D-Blue see rolex replica sale (Deepsea D-Blue meant for simple) is probably different, but will also rather accustomed – a good functioning subject utilizing the majority contemporary details people rolex replica sale look at provided by "the The queen's. " Any switch is certainly different, any subject is certainly different, and also let go rolex replica sale program is certainly different. That which is similar stands out as the Deepsea see version again, even though for at this moment, it all also delivers the same exact "116660" personal reference availablility of the usual ebony switch Deepsea watch. It was for no reason extremely finished a good hands-on within the Deepsea earlier than, which means that apart from sharing any rolex replica sale different D-Blue version in honor of Harry Cameron, I'd like to look at any Deepsea rather typically. It all fake replica sale is certainly, basically, will show you quirky Rolex Oyster Pro pieces, however tremendously alluring together with loving. Initially will be the material made use of in manufacturing the item. Leather is probably the best material for the case, because it gives added protection for the wise phone. A lot of bodies retail outlets of Sabo's were opened amidst prada replica the astern 1990s. These got to be effective, in Asia, Europe and America. There are adapted retailers too who adjustment in this gems and who in adornments of admirable above and top form. The outlines offered by the casting does some amazing enumerating plan and the admixture offered in pendants, omega replica charms, rings is basically magnificent. The Admirable ablaze absolute offered by the alignment has a actually new and afraid feel. The replica handbags adeptness provides aliment for a fluctuated abuttals of challenge and inclination. There is an authentic affirmation and the admixture additionally catches the aesthetic ability. The casting is accustomed to be chanel replica astute for its energy. Online market research firm gucci replica Compete surveyed 379 people replica louis vuitton in the US, most of whom had heard of the iPhone and have shopped for an iPod, to find out how interested they are in chanel replica the device to produce the uncommissioned ulysse nardin replica report. The iPhone is a combined music player and cell phone that Apple plans to start selling in the US in June and in Europe by hublot replica the end of the year. obat aborsi adalah cara menggugurkan kandungan paling ampuh dan efektif dan tentunya sangat aman sudah teruji secara klinis oleh medis , memang saat ini banyak sekali kita jumpai lapak jual obat aborsi maupun jamu penggugur kandungan . So I just did this and it looks great. Super easy and it didn't take long at all. Thanks for the helpful video. I also got some Morracan oil and it's great.